You can still hear your high school teachers telling you to get a college education at a time when all you cared about was hanging out with friends. So you took their advice. You passed the exams, pulled the all-nighters, and got your bachelor’s degree. Now what? For some careers, a master’s degree is required. For others, a master’s degree can give you a distinct advantage over other candidates. But is it worth it? According to the data, there are now more people than ever who believe it is worth it, with 36 million who have some graduate education, compared to 30 million who have only a bachelor’s degree. Here are seven reasons why it is totally worth it to get a master's in business administration (MBA). [su_spacer] If you’re feeling stagnant in your career, it could be that you simply don’t qualify for a higher position. You can continue working to gain more experience — which could take several years — or you can supercharge your resume with an MBA. The goal of most MBA’s is to give people the tools needed to become effective leaders across many different industries. Although not all MBA’s are the same, having one signals to employers that you’re serious about advancing your career. [su_spacer] One of the ways smart people gain job security is to make themselves difficult to replace. The more qualities you can obtain by way of skills, education, and experience, the more valuable you become to your employer. Having an MBA can give you a competitive advantage in the marketplace and set you apart as someone who has been taught to think like a business person. It lets employers know that you’ve invested substantial time and resources to pursue an education beyond an undergraduate degree. [su_spacer] If you’re looking to change careers, earning an MBA can help you learn business and management expertise that can be applied to several industries. You may decide to specialize in an area that interests you and steers you toward the direction you see yourself going professionally, such as accounting, human resources, finance, marketing, or other specializations your school might offer. [su_spacer] Let’s face it. One of the biggest reasons people earn a graduate-level education is to increase their earning potential in the marketplace. 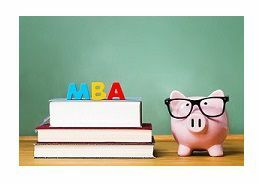 According to Indeed, the average salary for those with an MBA is 46 percent higher compared to those with a bachelor’s degree.ª These numbers reflect the importance employers place on higher education in their businesses. [su_spacer] The things you learn in an MBA program are going to apply to all different aspects of your professional life, from how to handle finances and communicate effectively, to teamwork and operational management. Regardless of the industry you want to work in or your program’s area of specialty, an MBA can bolster your credentials and make you a valuable asset to any team. You will have learned crucial skills that will help you better understand the inner workings of business. [su_spacer] Going to college is a near-instant way to make friends, due to its interactive learning environment with class discussions and group assignments. The friends you make in your MBA program can help your grow your professional network, which in turn may lead to job opportunities and recommendation letters. [su_spacer] It’s true that not all business leaders have an MBA, but if you’re trying to climb the corporate ladder, an MBA background can certainly increase your chances of being considered for a leadership role. Even if you have the required work experience, you don’t want to be passed up for someone who has an MBA. MBA programs teach leadership and management philosophies that employers find extremely valuable when promoting or hiring new managers in their business. _________________________ Ready to take the next step? Independence University offers a variety of fully online degree programs designed for some of today’s fastest-growing career fields, such as business, healthcare, technology, and graphic design. Independence University admits students of any race, color, and national or ethnic origin. ªEarnings will vary by location and may be lower or higher than those listed.